Welcome to Our Early Learning Center in Leechburg, PA! Our teachers love to help kids learn and grow! 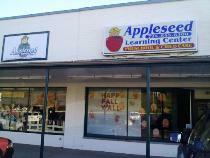 There’s a world of difference between Appleseed Learning Center and others in Leechburg. Parents who want the best in preschool education and child care will choose Appleseed Learning Center. Not because we say so, but because of the many excellent features you’ll discover by visiting, and then enrolling at our preschool. We understand that every mother and father wants the finest of care for their child, the kind of warm personal care that our early learning center can provide. We recognize and support parents as the first teachers of children. We share your excitement in your child’s growth and learning as we build a partnership with you to provide the best educational program for your child. We emphasize the learning of traditional skills through developmentally-appropriate programs, aligned with Pennsylvania’s state standards for early learning centers. Our spacious 5,000 square foot facility is located on both levels of the Kiski Park Plaza in Allegheny Township. The bright and cheery rooms of our early learning center provide separate play and learning spaces for children of different age groups, from 6 weeks to 12 years old. Our fenced playground features a triple slide, swings, an extra-large sandbox, and a separate artificial turf play area that is great for a variety of activities including water play in summer. 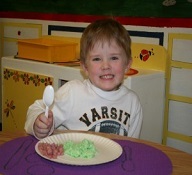 Be certain you have made the best choice for your child’s early education by investing 30 minutes of your time with us. Please give us a call today to set up a time to tour. Appleseed Learning Center is the place to be, and you will get to meet our wonderful staff. We are looking forward to meeting you and your children!